Peachtree Corners will soon have another healthy dining destination. 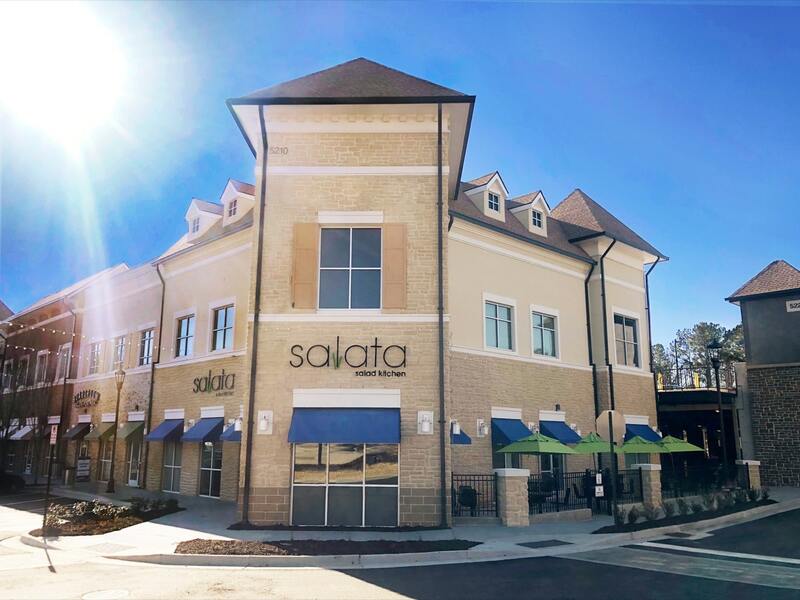 Houston-based Salata Salad Kitchen will open its newest restaurant in Peachtree Corners Feb. 7. Located at 5210 Town Center Blvd. in Peachtree Corners Town Center, the new Salata will offer guests fully customizable, tossed-to-order salads and wraps, soups, organic teas and lemonade, breads and cookies. All fruits and vegetables will be fresh and chopped daily in-house, and protein selections will be fresh and lean. With five salad bases, more than 50 toppings and 10 house-made, gluten-free dressings, guests can create meals to satisfy any dietary needs or preferences. The Peachtree Corners Salata will be operated by the Henry Investment Group. This is the seventh location for the franchise group. The 3,000-square-foot restaurant will have seating for 72 indoors and an 800-square-foot outdoor patio with seating for 32. It will be managed by Ayrenne McClinton and will employ 27. The Peachtree Corners Salata marks the 7th location in the Atlanta area and the 83rd location for the company. Featuring entertainment and giveaways, the grand opening festivities will take place on Thursday, February 7, beginning at 11 a.m. In addition to the grand opening events, 25 percent of opening day sales will be donated to the Robert D. Fowler Family YMCA. More details about the grand opening events will be available in the coming weeks. Beyond opening day, the Peachtree Corners Salata will be open from 11 a.m. to 9 p.m., Monday through Saturday, and 11 a.m. until 7 p.m. on Sundays.